Every year on October 12, Freethought Day is observed by secularists and freethinkers. It commemorates the anniversary of the effective end of the Salem witch trials. The Salem witch trials took place in colonial Massachusetts from February 1692 to May 1693. Twenty people were executed on charges of witchcraft. On October 12, 1692 Governor William Phips wrote a letter to the Privy Council of the British monarchs in which he admitted that the trials had degenerated into the quagmire due to a reliance on non-objective evidence. The anniversary of this event is celebrated as Freethought Day. The term “freethought” refers to a philosophical viewpoint that holds that individuals should build their opinions on the basis of logic, facts, reason and empiricism, rather than authority, tradition, bias, popular culture, or other dogmas. 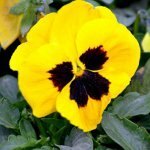 The symbol of freethought is the pansy. It was first used by the American Secular Union in the late 1800s. The name of the flower is derived from the French word “pensée” which is translated into English as “thought”. One of the largest Freethought Day celebrations is held every year in Sacramento, CA. It is a festival of freethought that includes speeches, author's panel with Q&A, live entertainment and other activities.